Fox News host Sean Hannity on Tuesday removed an article from his radio show’s website that claimed the official portrait of former President Barack Obama contained secret images of sperm. An archived version of the post can be read here. 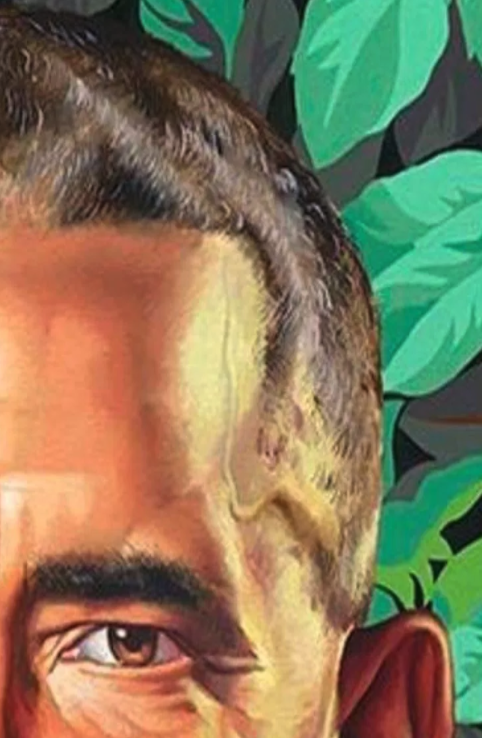 Hannity’s post also included a close-up crop of the portrait, presumably showing the suspected sperm. Dan Lavoie, a staffer for New York Attorney General Eric Schneiderman, flagged that the baseless conspiracy had earlier appeared on the message board website 4Chan — by now a well-known hub for alt-right and white nationalist chatter. Look, I don't think y'all are getting this. The Hannity Sperm Portrait nonsense was started THIS MORNING by racist 4Chan trolls, w/ the express purpose of "getting it in the news." The post calls the Obamas "king and queen n****r."